Yes, that’s why I posted. We pay too much to get too little. $500 for 3 bedroom apt? We live in different worlds. Well, I live in both worlds. In Vancouver, this apartment would go for about $3000/mo USD. The thing that surprised me the most was the quality of the facilities. 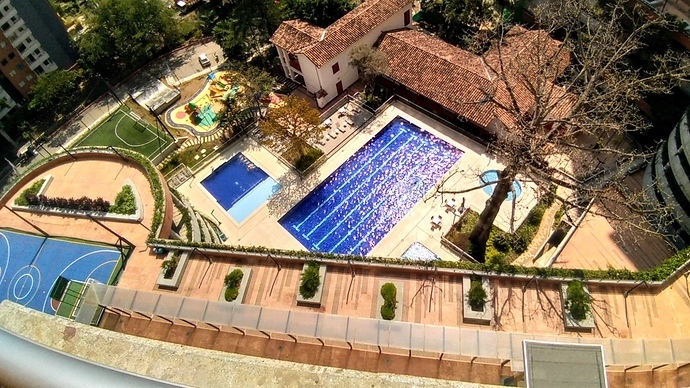 Two pools, one of which is is a full 25m with several lanes like a competition pool, tennis courts, saunas, a gym that rivals paid membership gyms, and a huge clubhouse that I plan to try working from. I’m hoping every day will feel like I’m on vacation. If that actually turns out to be true, I might buy in that complex. If not, I’ll probably move on next year. Are you done with Vancouver? No, although I wish I was. I may rent out my place in Vancouver when I return to Canada. I just want to live in South America for a few years. What do you do for health insurance in Colombia? I have Santias EPS which is the best government health plan and it rivals Canadian health care. It costs us about $100/month for both of us. If you have a small amount of money, you can deal with any other things that come along. For example, I jumped the line a few months ago when Isa had a pain in her hip by paying $100 for a series of X-rays and ultrasounds. Western-class care is available for cheap. Dental care is not covered but I just pay it as needed because it’s so cheap. I go to an excellent, super-professional dental clinic in Canada that just feels world class in every way. In my tiny village in Colombia, the office isn’t as super-rich-looking but it was still very nice. Far more importantly, though, the equipment is far better than in Canada and I got to watch a huge TV screen live showing a closeup of my teeth as they cleaned them. The girl (who had learned English in Malta) told me that the Canadians hadn’t done a very good job, showed me where the problem was on the live TV, and said I should let her do an ultrasonic cleaning (whatever the hell that is). I said ok, she did it, showed me again on the live TV how it was all good now, and then charged me $100. lol. In Canada, the inferior cleaning she fixed cost $250. Nice. I hope we can get Medicare for all some day. Moving day. I’ll be spotty for a few days. The facilities are worth moving for. I’ve never lived in a place with a basketball court and a soccer field, not that I’ll ever use those things. They look like they are in good shape. I’m not sure I’d use either. That pool is worth it and it’s empty! Yes, it’s interesting. The big pool is almost always empty or nearly empty. The smaller lounging pool and the even smaller jacuzzi are full at night. The gyms, basketball court and soccer field are almost always busy too. Works fine for me as I’m mostly interested in the big pool and the gyms. PS: I have a stupid foot injury so I won’t be using any of these things for a few weeks. 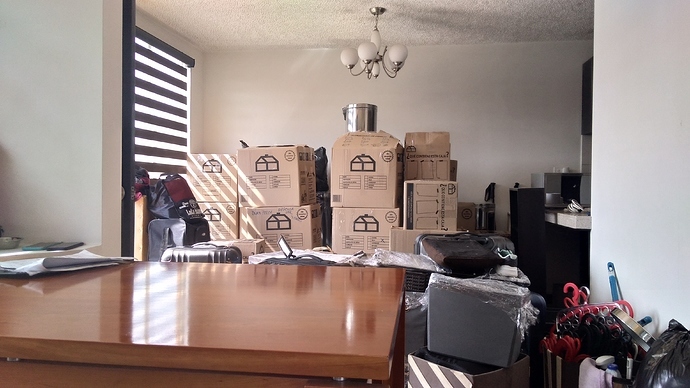 It is very luxurious and the apartment is large and beautiful and the view of the Andes is stunning, but always remember what I told you before: $500 per month. I’m seriously asking myself why I spend half the year in Vancouver. Did you feel the earthquake? I’ve only felt one, once. We don’t get too many in the northeast. It was strange the time I felt it. I thought I had vertigo and was passing out. Nothing fell. It was only a few seconds. I found out 2 hours later we had an earthquake.